For more lightweight rigging applications, Teufelberger now have the tREX adjustable slings with pulley – the tREX Ploopies. 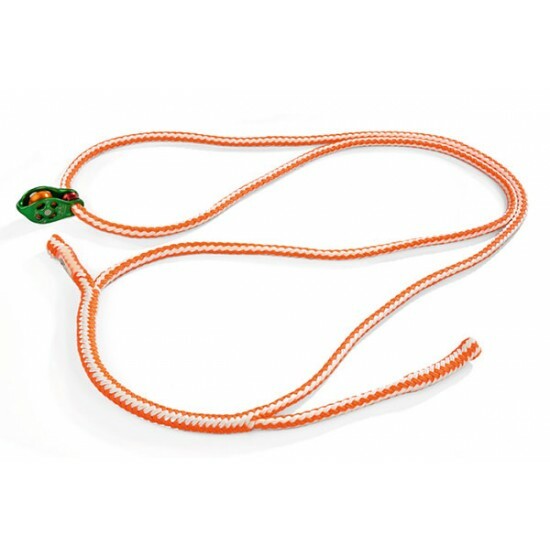 This sling comes with a pre-installed DMM Rig Pulley. tREX Ploopies are available in the following diameters: 11.5 mm (7/16 inch) and 12.7 mm (½ inch). Please keep in mind that the breaking strength of 12.7 mm (½ inch) ploopies is limited to 50 kN because of the pulley.